We have not forgotten about brides with curly hair. For a healthy and curly hair it is best to take advantage of its natural texture. Curly hair looks best on a medium or long haircut, be ware it should neither be too short nor too long. For your curls to look good and beautifully defined apply hair shampoo as often as possible, with a formula that addresses to your scalp and not to your hair. Do not put your fingers in your hair when it dries, it will electrify your hair and it will ruin the natural shape of curls. However, we shall give you some pieces of advice on how to style your hair, for your wedding ceremony. 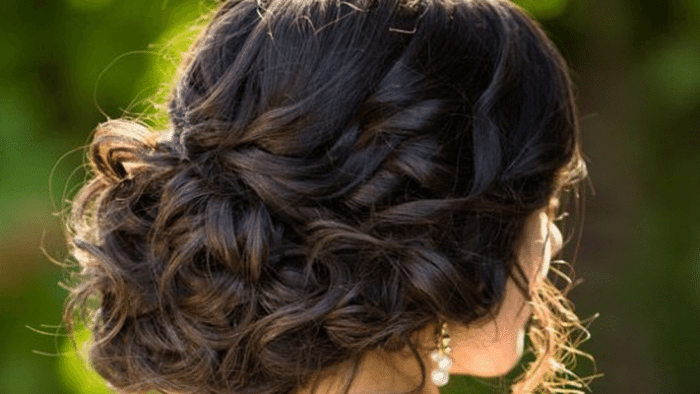 And let’s begin with the fastest way of arranging your curly hair, for your wedding. It will take you two minutes and all you will require is hairpins. You shall separate the closest strands to your forehead, on each side. Then, separate the two strands into two smaller stripes and twist them one over the other. Fix the ends of the strands in the back with the hairpins. And last, gently torn your hair back, in order to cover the attached ends of strands! For the five minute hairstyle you will need some hairpins, some hair accessories and some hair elastics. 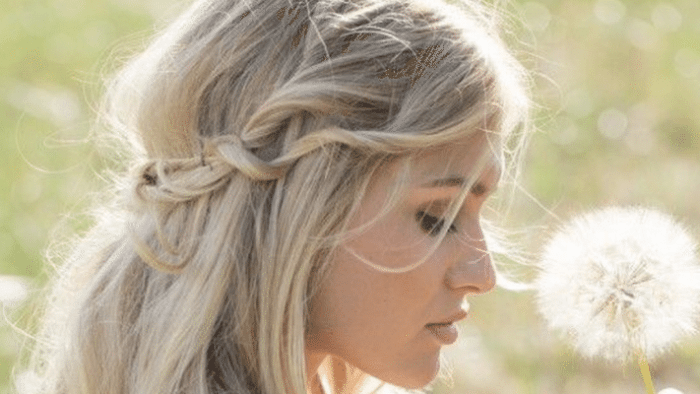 You will have to grab your hair in a ponytail above the neck, leaving a few strands to fall off the face. Lift your hair up to the crown and fix it with hair pins. If you have a longer hair, then the ends should remain loose. And last apply a hair accessory in your bun, for a more elegant aspect. For our last idea, that would take you longer, about twenty minutes your will need a flat iron and a paddle brush. Dry your hair with the paddle brush, strand by strand, straightening it. Grab some strands of two or three inches, put some foam on them and straighten them using the flat iron. And the last step with which you shall end this hairstyle would be to apply on each strand some hair spray, in order to tame the rebel locks of hair. Therefore, dear brides if you were afraid that there is nothing you can do for your curly hair on your own it seems that we have just proven you the opposite. 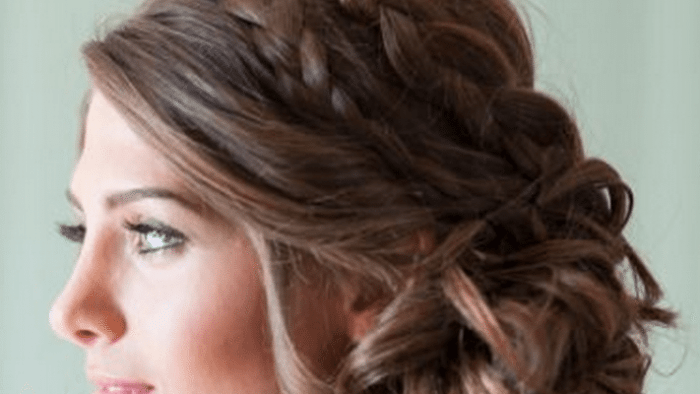 Follow these steps and obtain a glamorous wedding hairstyle.